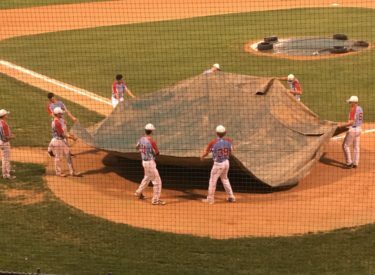 Due to lightning, the Liberal Bee Jays and Haysville Aviators did not play Friday night. Instead, they will play a double header Saturday evening beginning at 5 at Brent Gould Field. There will be two seven inning games. The games air on 1270 and kscbnews.net with pre-game at 4:45. Southwest Medical Center will be the buyout sponsor in game one and Electric Motor Service will be the sponsor in game two. Liberal Recreation teams will run the bases in game two.